The sturdy EscaMax® screen is able to reliably cope with even high amounts of gravel and grit. The twodimensional screening elements prevent especially long fibres from passing through the screen and achieve thus the maximum separation efficiency. Perforated screening elements provide superior separation efficiency in comparison with slit screening elements. It has been determined that two-dimensional perforations are better than onedimensional slits. 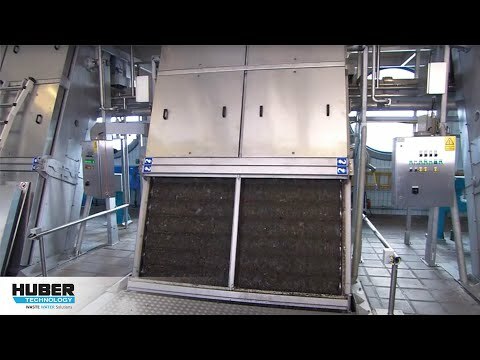 At their upper turning point the perforated plates are continuously cleaned by a fast counterrotating brush which increases the cleaning energy and thus significantly improves the cleaning efficiency. Cleansing is supported by an integrated spray bar.